If you are building a website for Movie blogs, watching movies or movie reviews, you are probably going to need a suitable theme to build your website around. Themes can make the website development process easier and more time efficiently. 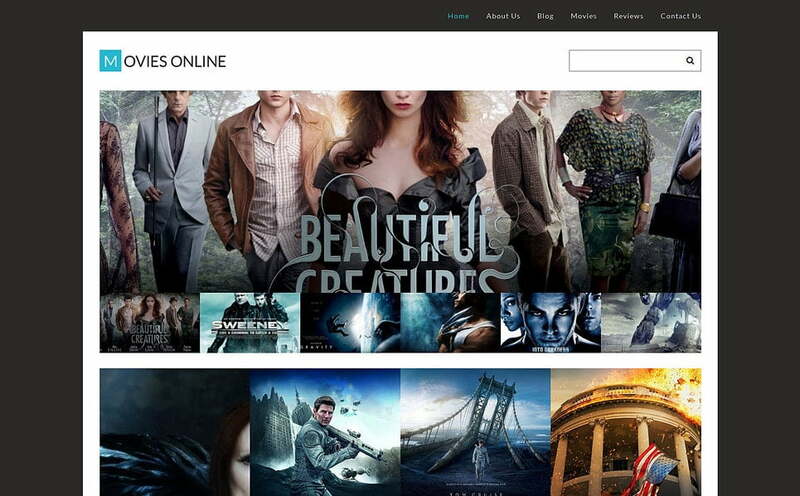 We here at WP Carers we decided to search through the internet and hand pick these 7 WordPress Themes for Movies to make your search a little easier. This theme for wordpress is a fully customizable theme that allows you to make your website look how you like it. It is multi lingual ready so your content can be accessed and enjoyed in other countries. It comes with a range of different pieces of short codes that you can add to your website. The template also offers 24/7 web support for free. It allows you to insert audio and video onto your website. Movies is a responsive and feature rich WordPress Movies Theme. It combines its slick design and its fantastic sliders to give this theme a really professional appearance. The theme is SEO ready which will help you grow your websites popularity by improving how high up on the Search engine rankings your website will appear. Movies supports any type of post weather its video, image, link or a quote etc. 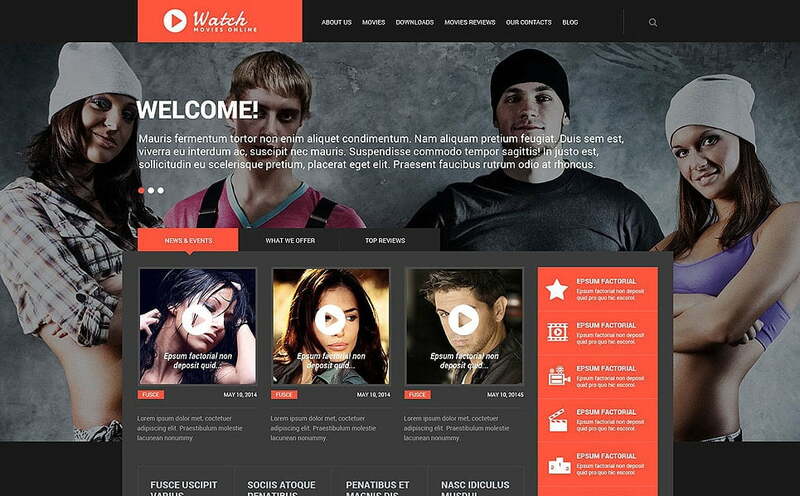 Watch is a modern that has Parallax scrolling and background image sliders. It is coded using HTML5 and CSS3 allowing it to utilize great looking CSS animations giving this theme a really professional look. It allows you to post any post formats on to your website easily using drag and drop interface on its page builder. This theme also has a built in social media buttons that will help grow your website naturally by letting your users spread the word for you easier. This is a really cool and modern theme that has a tiled layout that will separate your website from the others. It has great engaging animations that will happen when you hover the mouse over a clickable link/image. It allows you to simply set up featured movies onto a sleek slider on your homepage which fits perfectly with the themes tiled layout. This template is a beautiful and professional looking theme. Its modern design makes use of CSS animations and transitions which makes your website moreย engaging and showcases your content in a cool unobtrusive style. It is highly customizable and fully responsive so you can have your website displayed exactly how you like it without worrying about the design being resized incorrectly. It also comes with a lazy load effect which is a very professional feel. 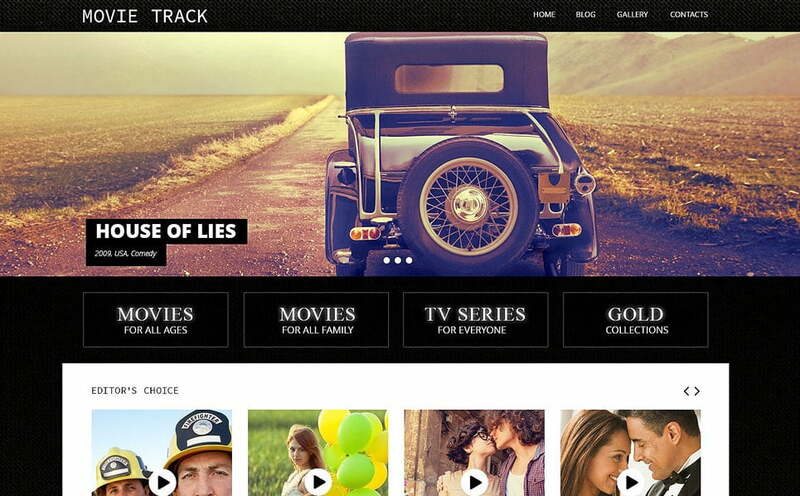 This highly responsive WordPress Movie Theme will seamlessly resize your website to fit every device screen. It allows you to display amazing spinning carousel slider so you can showcase the movies on your website through images in this carousel. Online Movies allows you to set up a membership program so you can build your own community of movie buffs. 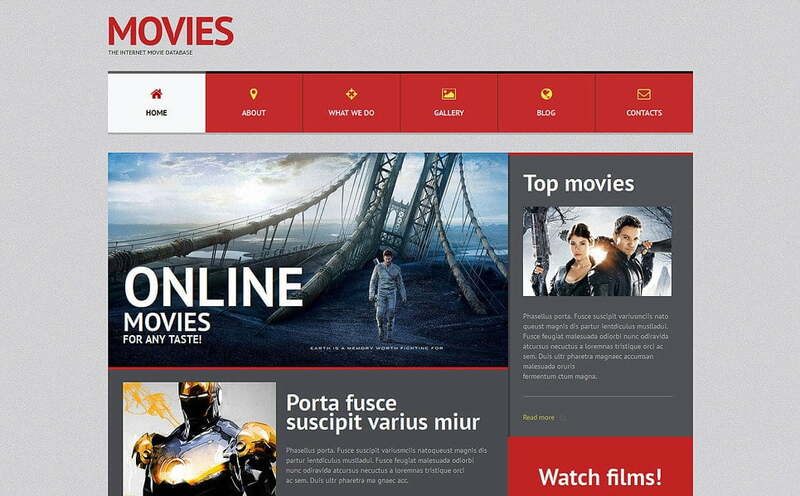 This site is intended for the presentation of films, projects, videos, movies and much more. It allows you to easily to add,ย drop and toggle between images and videos on your website. The Theme uses the visual composer plugin which allows you to easily create a number of pages easily by using its Drag and Drop interface so you will not need much of experience with website development.